Today is the one year anniversary of the historic and devastating flooding that overtook Nashville last year. It's crazy to think that almost one year later, our neighbors to the south are suffering their own devastation thanks in part to last week's tornadic storms. I am so humbly blessed for our safety (the storms passed right by us) but heart broken for those effected in Alabama, Eastern Tennessee, and elsewhere. We have all seen the footage of once bustling towns, now flattened after the EF 4 tornadoes ripped through them. Heartbreaking. Today a friend told me a story about a woman who had just adopted twp german shepherds. They were older dogs, and had just retired from the police force. During the storm, the dogs were separated from their owner. Later the dogs were returned to her, but not without their own heart warming story. After the tornados struck, the dogs kicked into action. Their training from the police force and searching for people, came as a natural instinct. Thanks to these dogs, 80 people were found and pulled from the rubble! As an animal lover, I think this story is one of hope, and shows how God works in all ways, even through our furry friends! 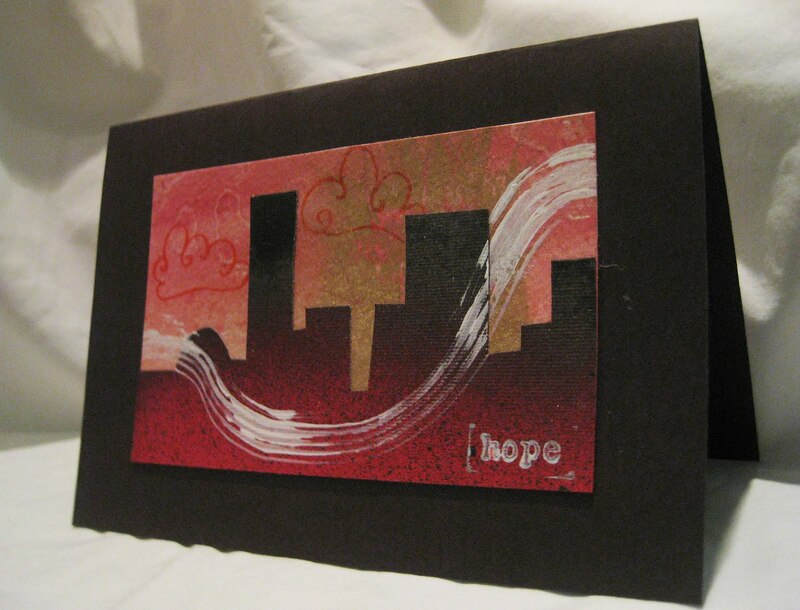 This week's image is my new hand painted card "Wind of Hope". $5 of each card purchased will be donated to help the tornado victims in Alabama. 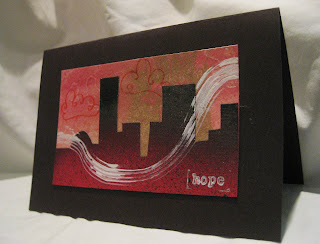 The card resembles our classic "River of Hope" card for Nashville, but was created with Alabama in mind (notice the red).